The U.S. “desperately” needs to reform its mortgage industry, according to Jamie Dimon, CEO of massive investment bank and mortgage lender JPMorgan Chase, and doing so would be a major boon to both would-be homebuyers and the broader economy. These requirements are driving banks away from “significant parts” of the mortgage industry, Dimon argued, and have prevented more than $1 trillion in loans that might otherwise have been made over the last five years. This week’s letter isn’t the first time Dimon has called for mortgage reform, with similar points coming up in his comments last year, in 2017 and in 2016. The calls for reform also come amid a larger industry reckoning over how to modernize various parts of the lending industry. The National Association of Realtors, for example, has called for changes to, or replacements for, Fannie Mae and Freddie Mac in order to maintain long-term stability in the mortgage market. Dimon doesn’t wade deeply into specific changes that he’d like to see in the mortgage industry, but in his new letter does point to his company’s new digital mortgage fulfillment process — which he says allows closings within three weeks — as a bright spot. 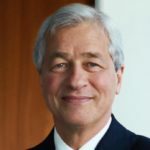 If reforms do happen, Dimon believes they could “dramatically improve the cost and availability of mortgages to consumers – particularly the young, the self-employed and those with prior defaults.” He also believes the economy could grow” by up to 0.2 percent a year” thanks to reforms.